NHD (known as ‘Normie’ by his WW1 Friends, and ‘Dim’ by a later generation) began his service career at the immature age of seventeen, joining the 3rd Battalion, 28th County of London Regiment (Artists Rifles) as a private in April 1915. He was in the Battalion Scouts and reached the dizzy rank of Lance Corporal – he might even have got as far as Corporal had he not inadvertently trodden on his officer’s face during a night exercise in Epping Forest whilst the officer was asleep under a large black tarpaulin! Later, while with the Artists Rifles at Romford, he made his first contact with the Royal Flying Corps when he was one of a fatigue party detailed to dig a trench taking water pipes to Hornchurch (then Suttons Farm) aerodrome. He was commissioned as a 2nd Lieutenant in the Royal Flying Corps on September 13th 1916. After a month of lectures at Oxford he was posted to the flying school at Netheravon in Wiltshire where he did his first solo on a Maurice Farman Shorthorn. Pupils in those days had to get to the hangars soon after daybreak, as it was generally too bumpy for flying instruction after about ten o’clock in the morning. NHD’s first job on active service was to drop letters from German prisoners of war and propaganda leaflets over the lines beyond the Ypres salient. This was probably one of the first instances of leaflet dropping which was to develop so much in the next war. In October 1917, when he returned to England for home defence duties he went first to No. 78 Squadron at Hornchurch where he was promoted to Captain. 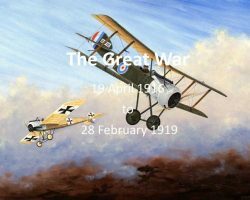 About two days after his arrival there was a Gotha raid, and although he had no previous experience of night flying he thought that having been promoted to Flight Commander he ought to “do his stuff and go up”. The machine used on this occasion was a Sopwith Comic, i.e. a Sopwith 1½ -strutter with the front seat filled in to make it a single-seater. Not knowing the drill for these occasions he got shot at by our own barrage over Erith and because he did not know that a winking searchlight was the signal for recall stayed up too long “having a good look round” and was temporarily reported missing. Early in 1918 he was posted to Biggin Hill where he helped to form and later served as second-in-command of No.141 (night fighter) Squadron on Dolphins and Bristol Fighters. At the end of hostilities in 1918 a competition for general efficiency was held among all home defence squadrons. 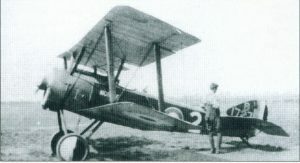 This competition was won by No.141 Squadron and for flying activities in this connection the Officer Commanding and four other officers, including NHD, were awarded the A.F.C. 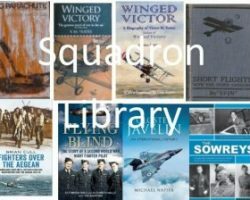 Early in 1919 the squadron flew in formation to Tallaght near Dublin in Ireland, with stops at Birmingham and Liverpool en route, only losing one machine which landed safely in Wales – no mean feat in those days. The sixty five miles of water between Holyhead and Dublin “looked very wet”! NHD was demobilised in 1919. 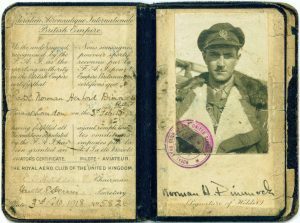 He rejoined the RAF on a short service commission in 1920, but a serious flying accident at Castlebar in Northern Ireland put an end to his flying days and he left the RAF in 1921. 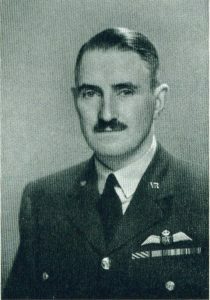 He rejoined the RAF as a Substitution Officer (a retired officer taken on in a civilian capacity for administrative duties) in February 1936 when he was posted to Halton as MT and Fire Officer. Here he first became acquainted with the RAF Police, and when the Headquarters of the RAF Police moved to Uxbridge in 1937 he took charge of the station police and warders who remained at Halton. When the RAF Police expanded in 1939 he became the first Assistant Provost Marshal of Bomber Command. While at Halton NHD was detailed as MT Officer to take charge of the RAF transport loaned to the RASC in connection with the Coronation of King George VI. He spent an interesting fortnight living in a tent in Regents Park helping with the transportation of troops arriving in London for the Coronation procession. He was the only RAF officer in camp with the Army in Regents Park and although as it were a ‘cuckoo in the nest’ he was treated in a very hospitable manner by his military friends. At the outbreak of war in 1939 he was commissioned in the RAFVR and did duty at Headquarters Bomber Command, first as APM and afterwards on Personnel Staff until June 1942. He then went to Headquarters VIII Bomber Command, USAAF as RAF Personnel Liaison Officer and eventually became Senior RAF Personnel Liaison Officer at Headquarters, Eighth Air Force, USAAF, a post which he held until May 1945. During this time he was mentioned in despatches, awarded the American Legion of Merit and promoted to the rank of Wing Commander in 1943. In May 1945 he was appointed Wing Commander (Admin.) to the RAF Staff College, then at Bulstrode Park, and supervised the move of the college to Bracknell. Later in 1945 he took command of RAF Station Innsworth and remained there until he was demobilised in November 1946. In January 1947 he rejoined the RAF as a Substitution Officer and found himself back with the RAF Police at RAF Staverton. 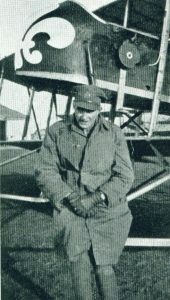 He remained with them until his retirement in 1963, finishing his career at RAF Netheravon, the station where he first took to the air in 1916.